You will better understand the general purpose of life insurance and the many different needs it can fulfill. You will be able to begin the process of clarifying and quantifying your needs for purposes of calculating how much life insurance you actually need. You will learn about the two primary types of life insurance – Term and Permanent – and how they differ in providing coverage. You will learn about the life insurance purchasing process and how to obtain the right coverage for your needs. The primary reason life insurance is purchased by consumers is to provide the financial security their family needs when one of the primary breadwinners dies prematurely. To that end, it forms the foundation of a family’s financial plan. But, the unique properties of life insurance give it a distinct versatility that makes it a suitable solution in many different financial situations. 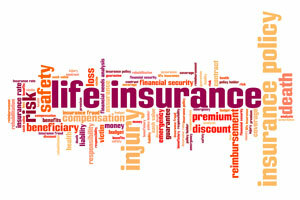 For most consumers the difficult decision is not “if” they need life insurance, but “how much” life coverage they need. It’s a much bigger decision, and one that can lead to consternation over the purchase decision if it is not made with the proper consideration. Buying too much life insurance has always been a concern for consumers who don’t like paying for what they don’t need, and buying too little insurance can lead to a lot of sleepless nights and disaster for the surviving family. At its simplest, knowing how much life coverage you need should be based on precisely what the “needs” are. Needs can and should be quantified so that the amount of life coverage can be determined with relative accuracy. Only then can you be assured that you own the right amount of coverage. For a family, the list of needs may not be extensive, but they should be very clearly defined. Income replacement – determine surviving spouses earning capacity and the amount of income needed during and after dependency years. Once the needs are clearly defined, they need to be priced, meaning their current costs need to be determined. This is easy to do for lump sum requirements such as debt payoff. Even for future costs such as college expenses, it’s easy if you use today’s costs and then apply an inflation factor. But, the most practical way to measure any cost is to assume that death occurs immediately. As long as you apply a reasonable capital growth assumption for the proceeds that are invested to cover future costs, it should be sufficient when planning in today’s terms. Calculating income needs is a little more complicated. The income needed while the children are dependent will obviously include child-rearing expenses including clothing, food, recreation, education, medical, child-care and miscellaneous outlays. The non-dependency years of your spouse will require less income, but should be sufficient to allow for a continuity of lifestyle. Again, the time horizon for the need is important, and if your spouse is not a primary bread-winner, it is never safe to assume that your income will be replaced by his or her own earnings which may not materialize in the manner or time frame you might hope for. For each stream of income – one for the dependency years, and one for the non-dependency years, the calculation is made by totaling the income required for each period and then discounting it to a present value using a conservative interest factor. This will generate the amount of money needed today to produce the required income based on it earning an assumed rate of return. The more conservative you are with your assumptions, the greater the cushion that can be created for added security. With your needs clarified, quantified, and their costs determined, you can then apply your existing resources as offsets to determine what is left uncovered. For instance, if you have existing life insurance, savings, or investments, these assets are available to offset the need for additional life coverage. If you have additional income sources, such as your spouse’s current income, income from a trust or rental property, it can be used to offset the income need. Following this process you will be able to arrive at a coverage amount that provides you with the assurances that you have bought the right amount and that your family will be secure. The process described here can be carried out on a few sheets of graph paper, or with the use of any number of financial calculation tools that are available for free on the internet. All of the various forms of life insurance – whole life, term life, variable life, universal life and the dozens of variations of each – can be distilled down to just two types: Term and Permanent. As their names would imply, term is life insurance that covers a certain term or number of years, and permanent is life insurance designed to remain in place as long as premiums are paid. Because of its lower premium, term life insurance is a popular choice for people who believe it can provide the greatest amount of coverage at the lowest overall cost. While that may be true if you knew when you were going to die, it doesn’t necessarily hold true if you die closer to the age that the insurance company expects you to die. As the graphic illustrates, a level term policy can provide a level death benefit for a certain period of time – i.e., to age 65, 10 years, 15 years or 30 years – after which your premium stops and your death benefit stops. If, at the end of that period of time, you still have a need for life insurance protection, you would have to renew the coverage at a much higher rate, often prohibitively high. If you are still insurable, you can look to purchase new coverage (term life insurance may not be available at your older age). Find a reliable life insurance specialist with whom to work. They will take on the responsibility of getting you from application to policy issue with the least amount of friction. They can also be invaluable during times when you need any sort of service on your policy. Buy from the best. Make sure you submit your application with a company that is highly rated for their financial strength and claims paying ability. Check their ratings from A.M. Best (A rated or better) and Standard & Poor’s’ (AA rated or better). If an agent or broker recommends more life insurance than you calculated for yourself, be sure to get a complete audit of their calculation and have them validate their reasoning. If a product other than what you were considering is recommended, ask for a detailed cost-benefit comparison of the two types of policy and a written explanation as to why it was recommended. Buying a life insurance policy can be an intimidating experience, which is probably the reason why so many people procrastinate. Armed with this fundamental knowledge about your own needs, the different types of policies and how the process works, you should be able to enter the process in control and with greater assurance that your life insurance needs will be met. Because it provides the capital needed before the breadwinners can accumulate sufficient capital of their own, life insurance is considered to be the essential foundation of a financial plan. Life insurance coverage should be based on actual needs and not general rules of thumb or simple formulas. Whole life or permanent insurance requires a higher premium because it’s designed to pay off, either at death or during your lifetime (cash value). It’s best to work with a financial professional who specializes in life insurance and who can provide objective advice in formulating a life insurance plan best suited for your needs.